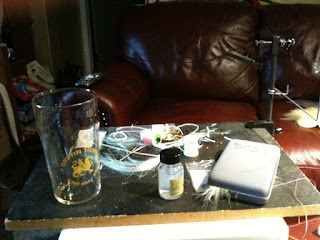 Here's the scene Sunday morning after a late night of fly tying and NCAA basketball. 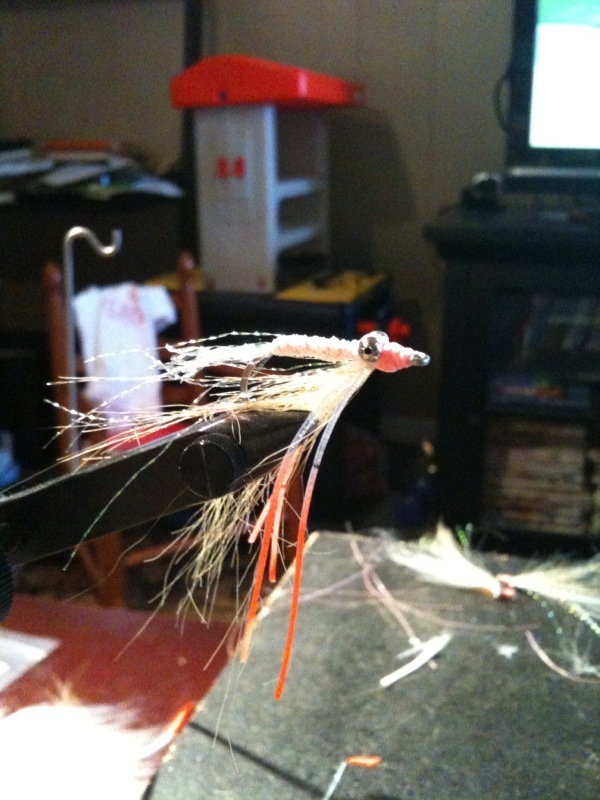 I began playing with a few versions of the Gotcha and decided to tie one as prescribed by Charlie's Fly Box which is a really great site if you're a fly tier. In fact, I think Charlie has the best all around site around in terms of how-to tie. Be sure to check out his site. I tried my hand at tying his Gotcha and here is what I came up with. 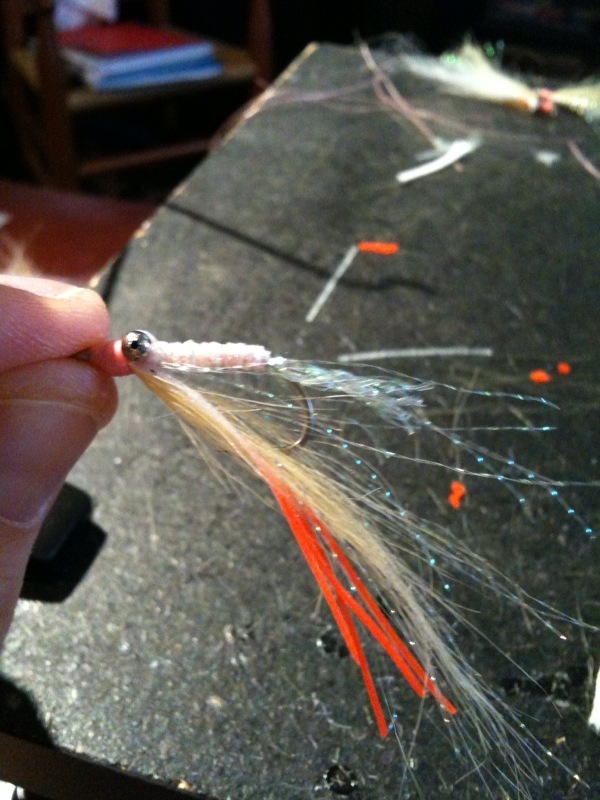 I've been working to make the wings on my Gotcha thinner, or tied more sparsely. If you're tying the Gotcha in my video, be sure to make the wing a little thinner, too. Here's another pic of the Gotcha. I was really happy with how it turned out.